Rapper Nipsey Hussle was shot and killed in front of his own L.A. clothing store called Marathon. According to law enforcement, the shooter walked up to Nipsey and shot him and two others then fled the scene in a car driven by a female. Cops believe the shooting was gang-related and a man with the Instagram handle @gasstongbo got on the social media site and said he was the one that shot Nipsey. Police are still investigating the shooting. 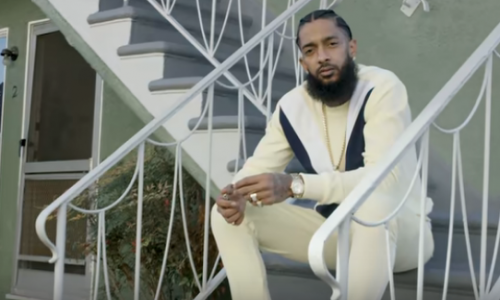 Nipsey Hussle was 33 and is survived by two children and his girlfriend, Lauren London. How hurt were you when you heard about the death of Nipsey Hussle?